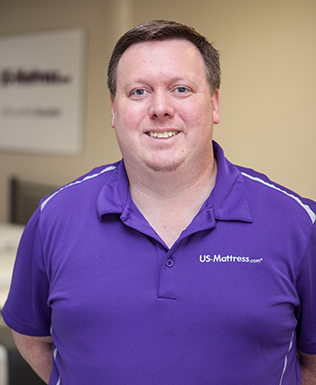 My name is Brad, and I joined the US-Mattress team in 2013. I am a Mattress Specialist in our local Metro Detroit retail stores, where I help people select the mattress that is right for them no matter what budget they may have. I enjoy being able to help people get a better night's sleep, since it is one of the easiest ways to immediately start feeling and looking healthier.